Raphael Fournier is a french architect and designer. For more than eight years, he worked as an architect in leading offices in such culturally rich and diverse places as China, Japan, Peru, Argentina or Chilean Patagonia. In 2015, he settles down in Barcelona. Martin Endrizzi is an argentinian industrial designer based in Mendoza. In 2007, after several years as an independant designer and researcher, he became partner of the historic stoneware brand Colbo, leading the company to international recognition and getting him an extensive knowledge of all steps of an industrial process. They met in 2014 and quickly started developing projects together. In 2015 they opened their eponym studio Fournier-Endrizzi, based both in Spain and Argentina. 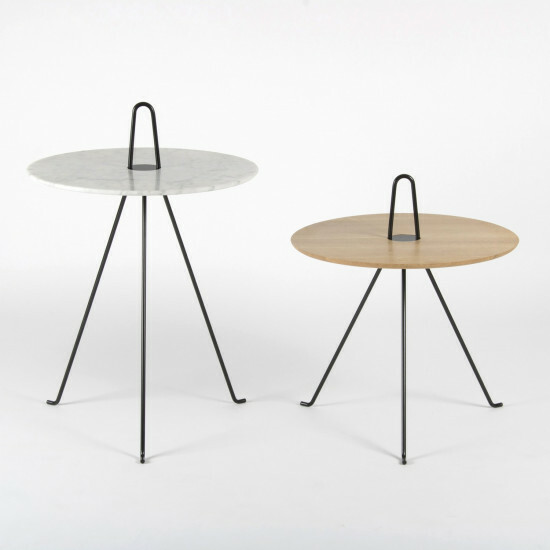 Their first collaborative piece, the side table Tipi, was presented as a prototype at Stockholm Furniture Fair in February 2015 and launched by Objekto at Salone del Mobile in Milan in April 2016. They currently develop projects in the fields of furniture, creative direction, interior design and scenography.